If you ever find yourself passing through Louisville, KY on a Tuesday afternoon with a few hours to kill, and a crew of small kids in tow, and you're a little thirsty either before or after going to the absolutely awesome Lousiville Slugger Museum and Factory...as Sandy and I found ourselves recently...may we suggest the Evan Williams Experience? ...then headed over to the Louisville TJ's for even more bourbon, because, you know, Kentucky. Why not? Can't exactly get TJ's hard stuff just anywhere. We picked up an old favorite but in spirit of adventure also chose Trader Joe's High Rye Bourbon. Not a bad price at $19.99. And of course for sake of comparision I had to try the two side by side. Did that again just now. So the rest of this review oughtta be fun. At 84 proof, I expected more burn to be honest. But it's not here in the rye variant. The regular ol TJ's straight sure can, as I semi-coughingly reminded myself. Nah, it's much more even and mellow here, with still a semi-fiery undertone. But man oh man...the rye. There's a lot of it, as one would expect. I'm learning to appreciate it, slowly but surely. I feel like it may be somewhat akin to hoppy beers, in that bourbons high in rye would also be a somewhat acquired taste. The mix mash here is 70% corn and 30% rye, so there's definitely a heavy-handed grainy taste here that I'm not accustomed to. Most bourbons seem to be 10% rye or less. A little ice mellows it out, and blossoms some slightly sweet elements. And sorry, but I laugh at the label note that says "aged in new charred barrels." That's literally every bourbon. It's like listing Cherrios as cholesterol-free, in that it's a given. It's an actual legal requirement for any bourbon to be considered a bourbon to be aged in a newly charred barrel. It's a sipper meant to be enjoyed slowly, for sure. If I were still into cigars, I'd imagine the two going well hand-in-hand...but I haven't smoked one in years. I've been working my way thru the bottle slowly, as it does go down easily enough, but at the end I'm not sure I'll make it a point to seek out more rye bourbons. I feel it's a drink I can respect and appreciate for what it is, but not completely savor, if that follows. Sandy does enjoy bourbon but more or less is taking a pass at this one. I'd say it's decent enough for what it is, especially at a fairly reasonable (to me) price. Thanks Pennsylvania and your government-run spirit shops. Gonna go with a seven here overall. I'm not sure when I was first introduced to it, but I've been a fan of Thai iced tea for a long time now. If you're ever at a good Thai place, definitely try the Thai iced tea. Some restaurants make it better than others, but when it's good, it's absolutely delicious. I'm pretty sure it's a type of black tea, but with plenty of coconut milk and sugar up in the mix. 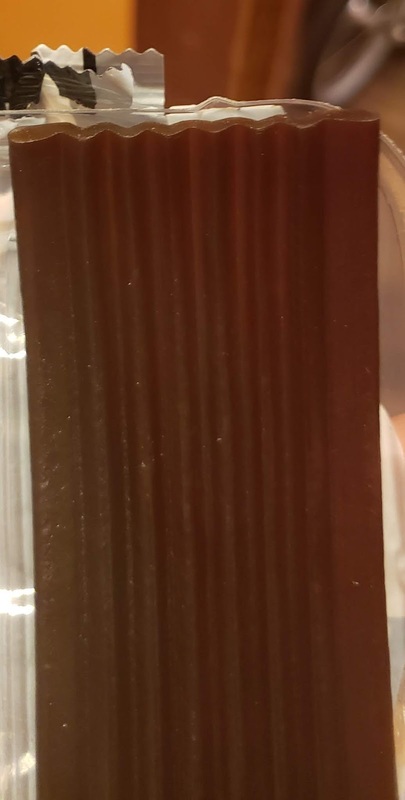 When it's served, there's a cool layered effect with white at the top, black on the bottom, and a nice orange-brown in the middle—check out the photo in this article. These mochi bites captured the flavor fairly well, but both Sonia and I thought it was a little less sweet than the Thai iced tea we're used to. Sonia was fine with that. Since they're definitely a dessert food, I wouldn't have minded them a little sweeter, but they're still pretty tasty the way they are. 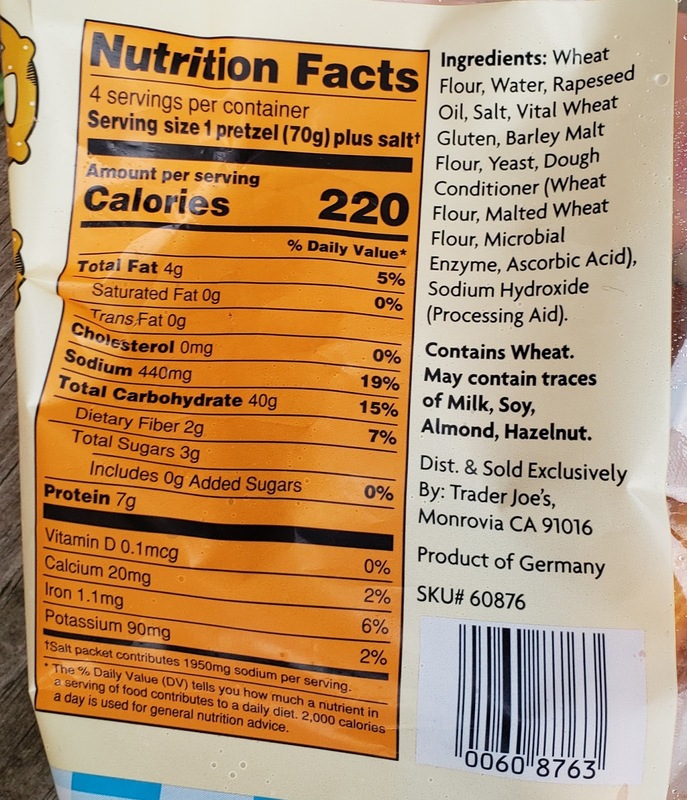 I also thought they overdid it with the flour on the outside of the gelatinous shells. The mochis were absolutely covered in the stuff. At first, I thought it might have been powdered sugar, but it wasn't sweet. A couple times, I actually coughed from inhaling some of it. The pic above was taken immediately after our 25 minute drive home from TJ's. They melted a little in the sweltering heat and a tiny bit of ice cream jumped out of their shells—fortunate for the sake of the pic in that you can see the color and texture of the actual ice cream there in the top two corners of the tray. Other mochis we've tried from TJ's are all significantly larger than these. I guess that's why these are called "mini mochi." You could theoretically pop the entire mochi ball into your mouth in one bite, but you might suffer some serious brain freeze. I preferred to eat them in two small bites. 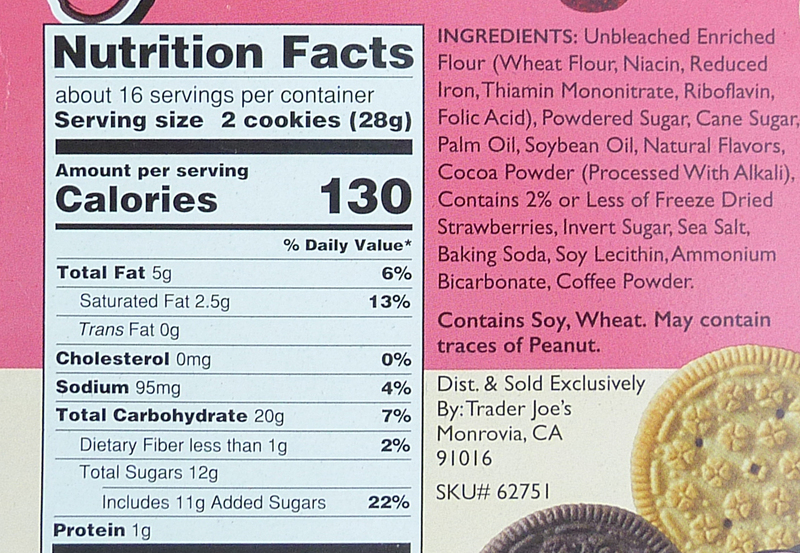 With a serving size of 6 pieces and 210 calories, this is one of the more satisfying dessert foods we've seen in a while. 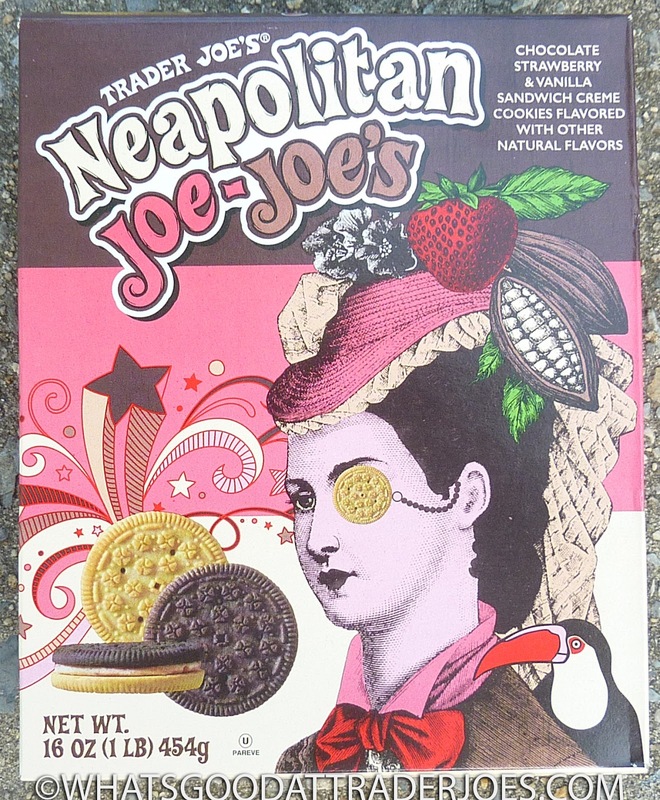 Also, they're dairy-free, using coconut milk instead of cow's milk, but they're still nice and creamy. 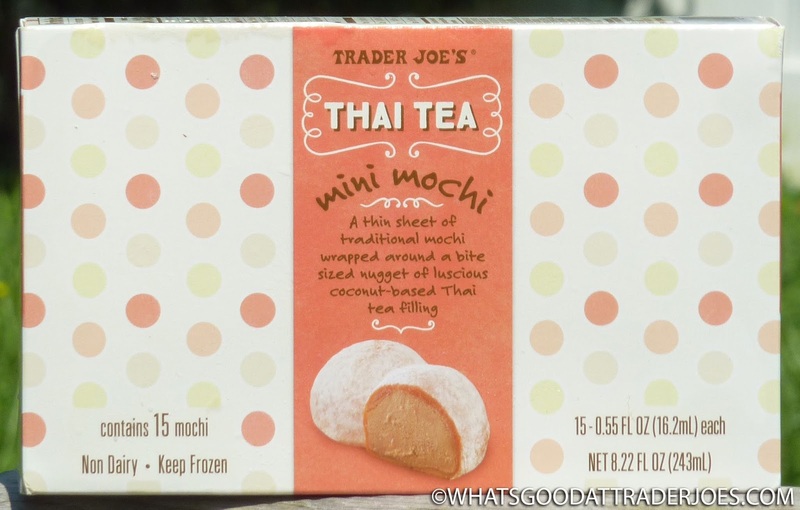 The tapioca and rice-based shells are soft and thin, just like we've seen from other Trader Joe's mochi offerings. Sonia gives these ice cream treats four and a half stars. I give them four. 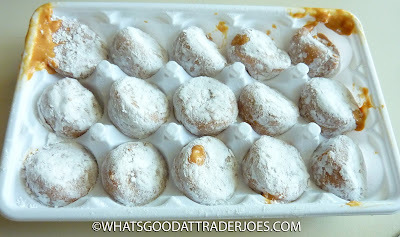 $3.49 for 15 mini mochi balls. Tire treads can be awfully scary or just plain awful. Two quick stories: Couple years ago, got on the PA Turnpike. Less than five minutes into a 300 mile drive, an 18 wheeler blew a tire as I was passing them. Tread tore right off and flew right towards our windshield. I thought we were goners...but some real nifty air current wind tunnel vortex-type voodoo (or just maybe the hand of God) caught it and sailed right over us and onto the empty lane behind us. I don't think I breathed for the next hundred miles. Another time, not as dire but didn't work out as well: Totally ran over a tire tread on the highway and busted up the whole underside of our car. Stopped at a truck stop for duct tape to make it the rest of the way home. Got "bit by an alligator" in trucker lingo, apparently. Almost $1000 in damage in an instant. Fortunately, Trader Joe's Black Licorice Treads are of a happier variant. I mean, it's candy. 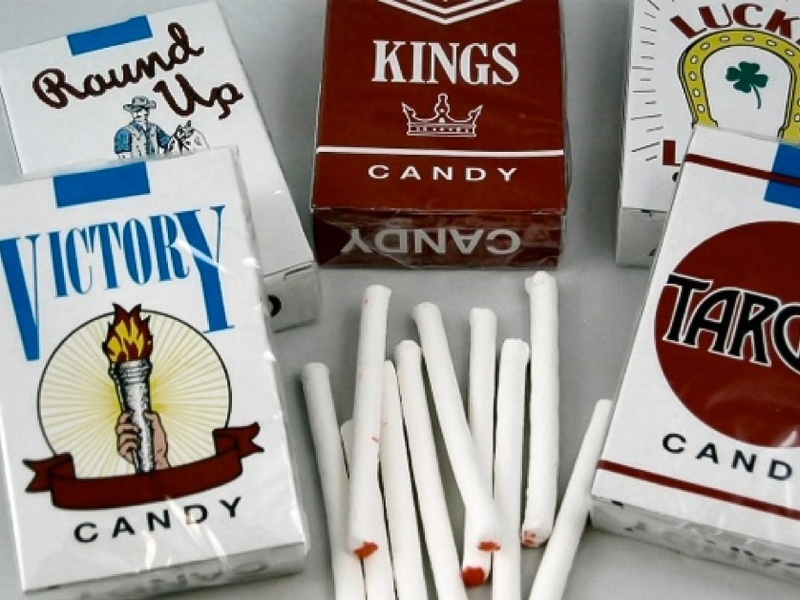 They'd never make a candy version of anything harmful or awful or anything, right? These are totally candy sticks! Anyways, think a flattened out black Twizzler plank, and that's about what we got here. I'd approximate each TJ tread at about three Twizzler's worth, maybe four. Biting into a piece definitely gives about the same satisfaction as biting into multiple Twizzlers but is a little softer and less thick overall. Maybe it's the lack of airtube in the middle, which sadly means I can't make double use of them as a straw. Doh. The flavor is a little different, though. 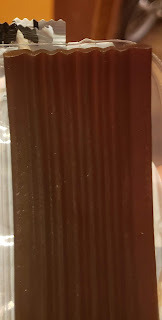 I'd admit I'm used to black licorice being flavored mostly by anise, and there's a little bit of that to be had here. 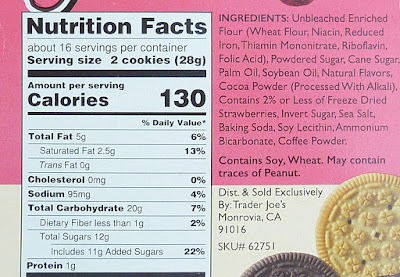 But most of the flavor seems to come more from actual licorice root, with which I'm not as familiar. I wouldn't say it's rich or vibrant or deep or whatever adjectives the packaging uses. It's more subtle and subdued, and it takes a few chews to get really worked out. Maybe it's only because it's a little different from a Twizzler and it has TJ's name on it, but I kinda want to say almost "more refined." Interpret as you wish, I'm an unabashed TJ's fanboy. 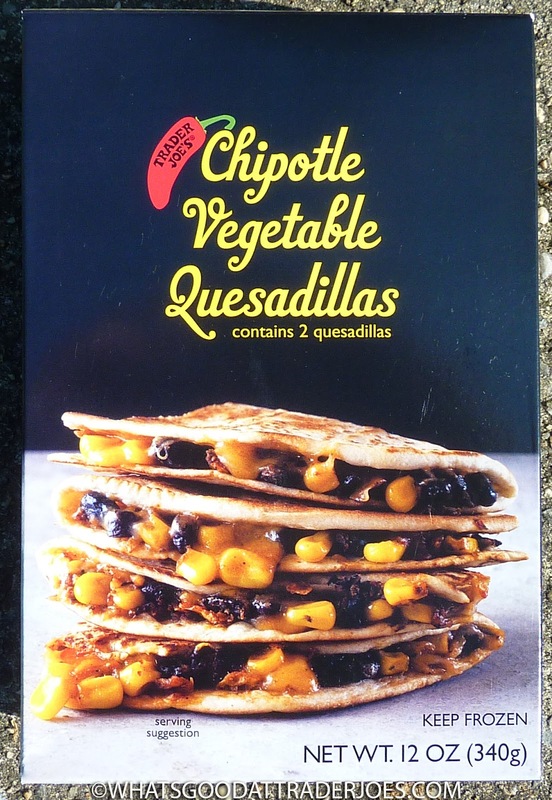 "If they're called 'vegetable' quesadillas, there should be more vegetables," stated Sonia. "I want sliced-up zucchini or eggplant or peppers in there. Corn and beans aren't enough." This is coming from the only human being I know who eats plain cheese quesadillas for a meal—nothing but a tortilla with melted cheese—on average about twice a week. If she'd add beans, corn, and chipotle sauce, I could probably live off her quesadillas, because I enjoy the taste enough, and also, I'm guessing, there'd be enough nutritional value in there. Likewise, I could live off these quesadillas. I really like their simplicity and flavor. I'll admit we heated them in the microwave, but I was more than pleased with the result. Sonia? Not so much. Sometimes I think she feels threatened by Trader Joe's Mexican offerings—as if I'll suddenly ask her to never cook again and demand the freezer be stockpiled with Trader José's comida Mexicana. Where is José these days, anyway? Don't worry, wifey. I'll never get tired of your salsa de queso. Sonia's other major complaint was the price. $3.49 for two quesadillas. I'll admit they're not exactly giving them away, but each quesadilla could stand as a meal in and of itself. That seems like a pretty standard price point for frozen foods to me. 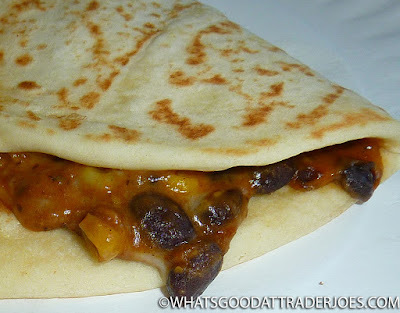 I think Sonia has a problem with it because she can make about 500 of her plain quesadillas with an inexpensive stack of corn or flour tortillas and a hunk of cheese from the grocery store, and they wind up costing about 15 cents each. The balance of corn, beans, and cheese is on point here in these "vegetable" quesadillas, and the chipotle flavor is almost perfect, too. There's a hint of heat, but it's not overwhelming. If I were in the mood for something with a significant kick, I would have to put some kind of hot sauce on them, but for most occasions, they're perfect just the way they are. Sonia didn't really have any specific complaints about the taste or texture. She just thinks they'd be better with another ingredient or two. Fair enough. Two and a half stars from her. That's a painfully low score for these, in my opinion. Four and a half stars from me. For my family, we seem to have a pretty set vacation template for a good time. 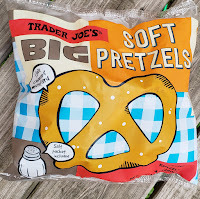 Go somewhere to go to a zoo, a baseball game...and a Trader Joe's. It's just what we do. We're not particularly outdoorsy or beach folks or lounge all day by a pool or go fancy-schmancy stuff. 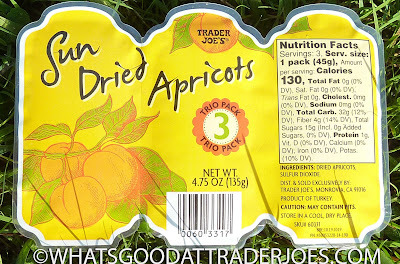 And yes, we do hit up Trader Joe's in other states as much as we can. We just got back from a southern swing and added on three new states (North Carolina, Tennessee and Kentucky) to our growing list. By my count we're up to 16 states. What's the appeal? Hard to exactly say...but we need to eat and get snacks and well, you never know what you might see or find, or who you might encounter. It's cool to see the different set-ups and artwork and have the kids look around for the animal...although Nashville, you don't have one? That's odd. And of course, since we live in an oddball state a little too dedicated to its Quaker heritage by not allowing most grocery stores to sell alcohol, there's a whole branch of TJ's beverages we can't get on the regular around home. Got a fair amount of them while out and about which we'll be drinking and reviewing our way through in the coming times. 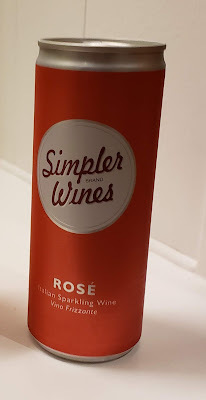 First up: Simpler Wines. 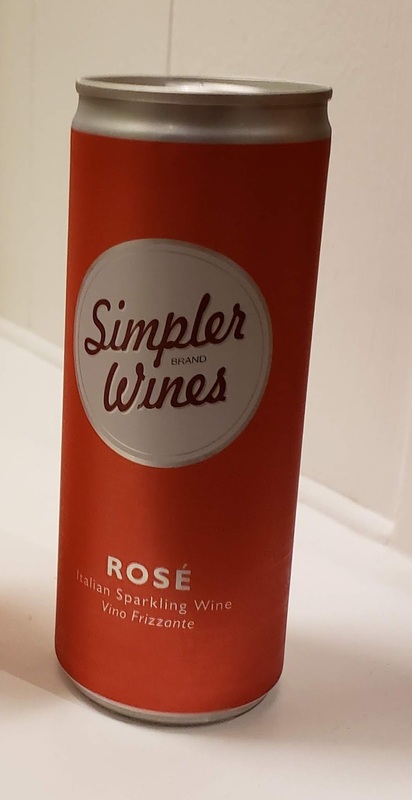 AKA wine in a can. 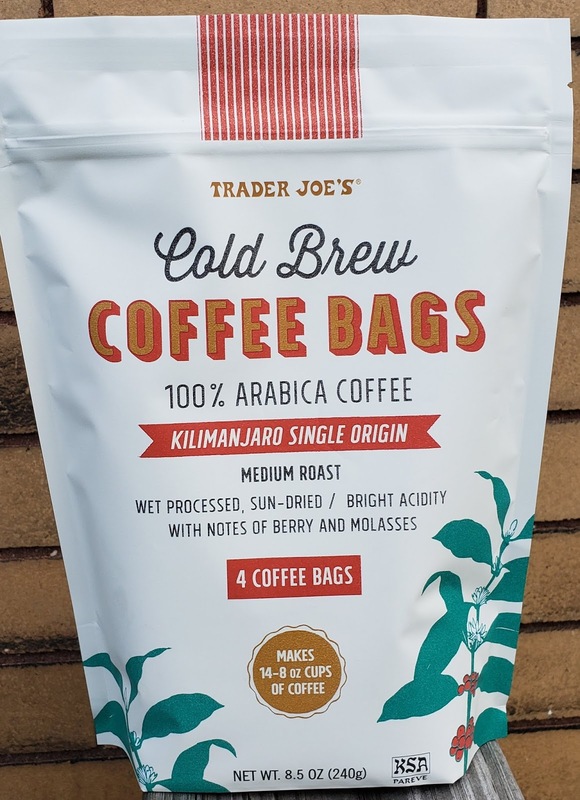 Though not branded as "Trader Joe's", as far as I can tell it's a TJ's exclusive and related to Simpler Times canned lager which replaced it's "Name Tag" line I *think*...so it's TJ's enough. Plus, it's wine! In a can! How cool is that? I'm not gonna lie and say I'm a wine expert. Most wine experts aren't all that expert-y either. So I'm just going to ask myself a simple question: Did I like this particular rosè, can and all? Yup! Sure did. It's light and floral and subtly sweet, with perhaps a bit more carbonation than anticipated. Perhaps it's because it's from a can so my taste buds are thinking more soda/sparkly water. Regardless, the rosè is a pretty decent, refreshing summer drink, and at about 10% it carries a little punch. And of course, since it's in a can, this potent potable's potential portable possibilities prolong past previously prescripted parameters. Primarily, picnics. Perhaps parks or for pedestrian pastimes. No glasses needed - just pop open and enjoy, all with any local open container laws in mind, of course. Plus, well, wine in a can is still kinda novelty, so why not? It's $5.99ish for the four pack of 250mL cans. A liter of decent wine for $6? Not bad at all. In addition to the rosè there's also canned chardonnay. Both Sandy and I enjoyed after getting the rugrats in bed for some late night Netflix and chill - another vacation classic. Double fours. We've seen sliced gluten free bread from TJ's before. This stuff is even better. The flavor is richer, nuttier. 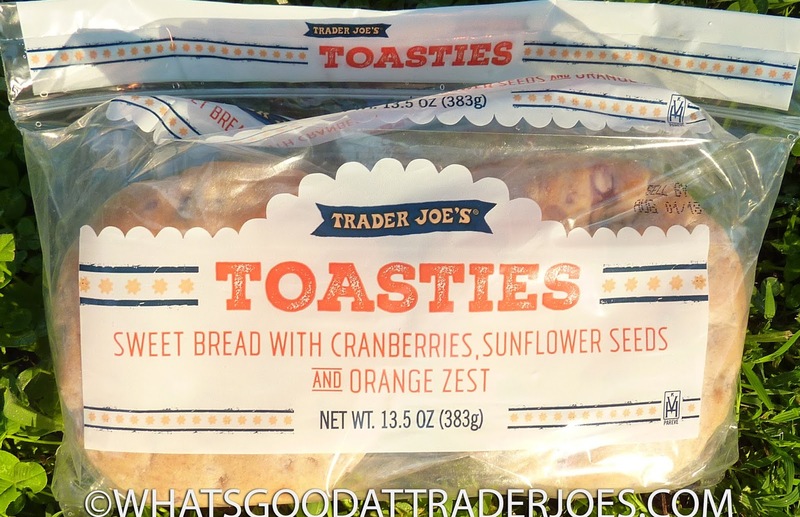 The texture is even closer to traditional multi-grain offerings than the previously-reviewed "Whole Grain" variety. It's roughly the same price at $4.49 for the loaf, and it might just be the best gluten-free bread I've ever had. Four and a half stars a piece on this product. The cream cheese is moderately olivey. I think it tastes more like "olive juice" than actual olives—like they just mixed the olive brine water with cream cheese. It's not bad, though. There are very tiny pieces of olive in the mix. I wouldn't have minded them a little bigger—or maybe even olive slices rather than teeny-tiny little bits. Sonia seemed to like the creaminess and lack of olive chunks more than I did. 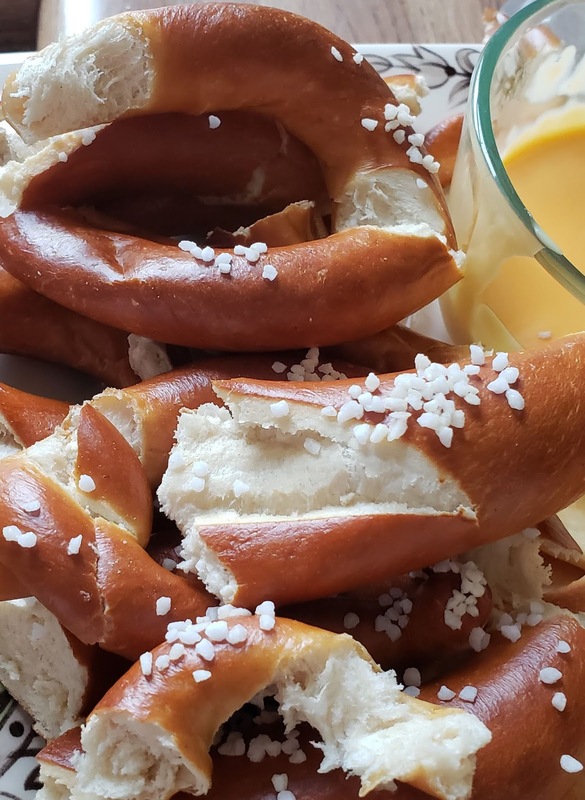 It's an earthy, salty, savory flavor mixed in with the milky creaminess of traditional cream cheese. Four stars from Sonia. Three and a half from me. For more of Sonia's thoughts, check out the video review below! 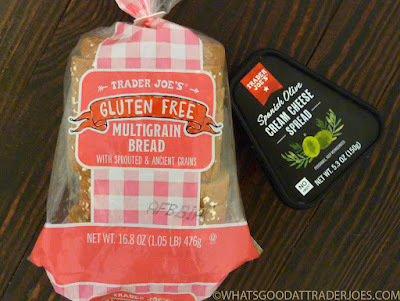 Trader Joe's Gluten Free Multigrain Bread: Bottom line: 9 out of 10. 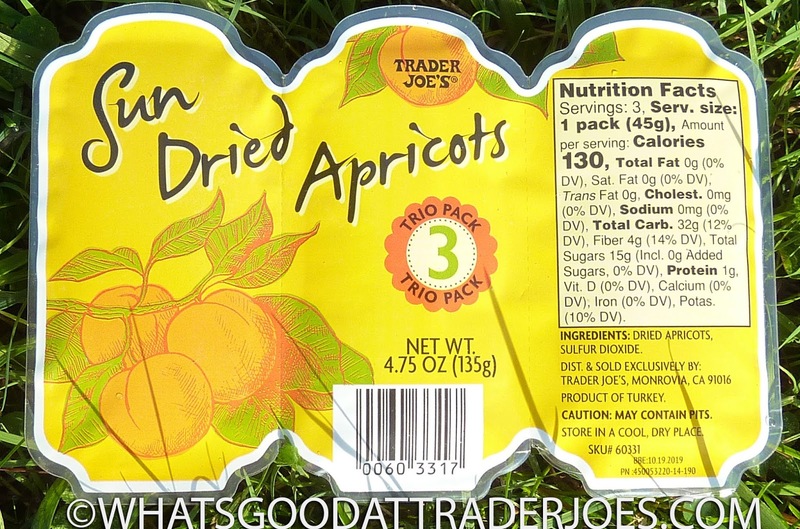 Trader Joe's Spanish Olive Cream Cheese Spread: Bottom line: 7.5 out of 10. Might not yet be back-to-school time for all the pre-college crowd, but university arrival is in full swing out here in the 'burgh. As home to several major schools in close proximity to each other, the local Targets and WalMarts are overflooded right now with masses of aspiring scholars getting their futons and table lamps and God knows whatever else. And chances are, ramen noodles too. Need your stockpile. Amazing I didn't suffer from malnourishment during college, as for three years I literally lived off of ramen and Papa John's pizza. Can barely touch ramen since, let alone it's slightly fancier cousin, that Cup o' Noodle feller. 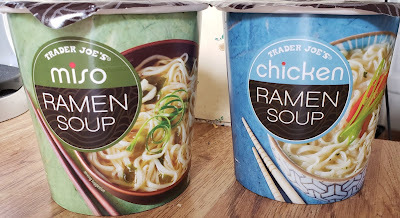 There's a new twig on the ramen family tree: Trader Joe's Ramen Soup. There's presently two varieties as you can see: miso and chicken. 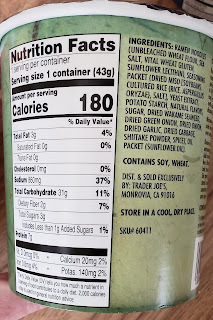 Not that typically "flavors" matter for ramen - it's supersalty cheap carbs. It's only a matter of what color the seasoning packet is, right? Well, I've admittedly only tried the chicken variant, but even from it, I can tell these soup cups are a decent buy. 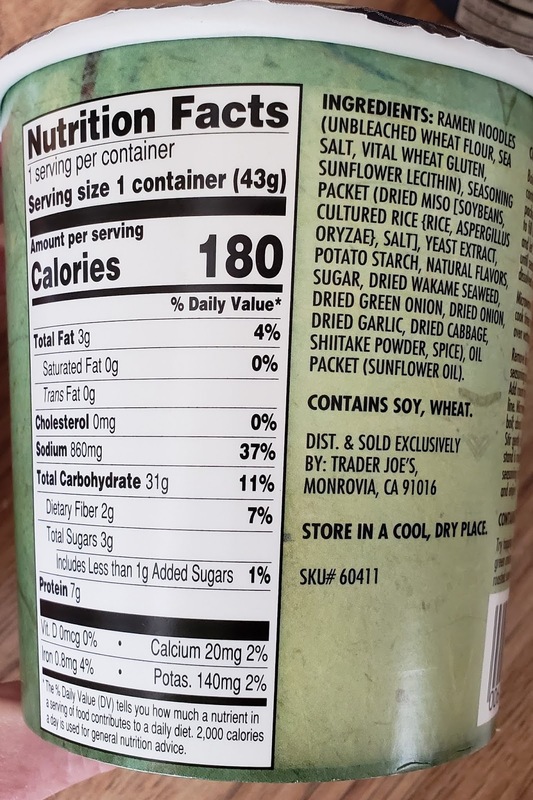 There's not just a seasoning (read: salt) packet inside, but also a small flavoring oil baggie, which when mixed with hot water makes a frothier, almost "creamier", slightly richer soup broth. The noodles are pretty basic ramen, with nothing too fancy about them, so the decent broth is a real nice plus. A word about the noodles, though: There's two ways these can be prepped. You can either pour in tap water and microwave, or pour in hot water and let it sit. Sandy said the second non-nuking method seems to work better, as the noodles seem to "cook" better and have a better texture to them. 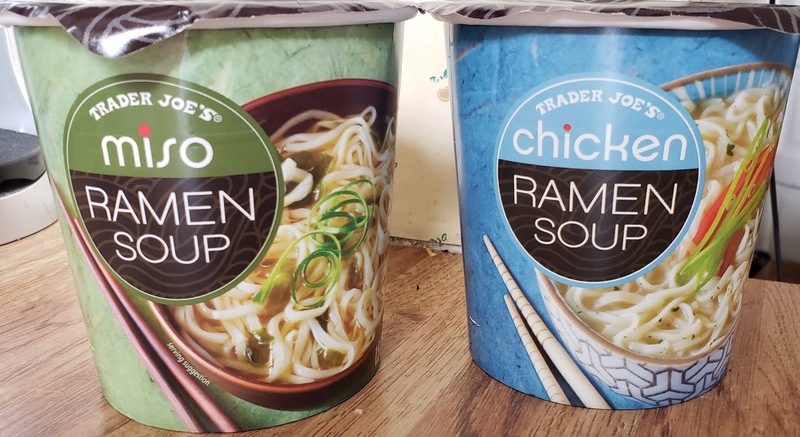 At a little over a buck each, these TJ ramen cups seem a little pricier than any I'd remember from college...then again, everything's more expensive than 15 years ago and I was being spoiled by 1o packages of ramen for a buck back then, too. Haven't really kept tabs on ramen market prices since then. 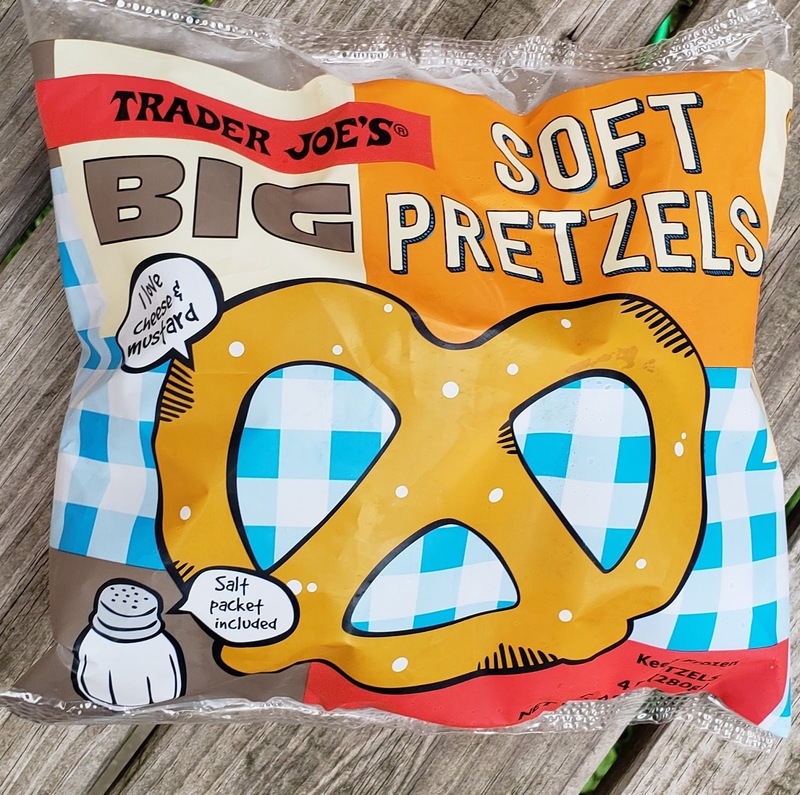 We'll be picking these up, especially as the weather finally begins to cool, for a quick and easy lunch / small carbo-loading boost at work type deal. It's not the fanciest in the world but for what they are, they're pretty good. Double fours. This isn't the first gluten free mac and cheese we've looked at on this blog, but this is the first frozen gluten free mac and cheese at which we have looked. If you've been reading this blog for a long time, you'll know that Sonia and I consider ourselves "gluten-sensitive" but haven't been diagnosed with any actual conditions that would warrant a strict gluten-free diet—although non-Celiac gluten sensitivity (NCGS) is a legit condition, and eating bread can cause schizophrenia, apparently, among other things, in just about anyone. Every once in a while, we'll choose gluten free because we're not anxious to feel any uncomfortable bloating, but after reading articles like this one, I'm thinking it might not be a terrible idea to avoid gluten as often as possible. But still, there's the matter of taste. 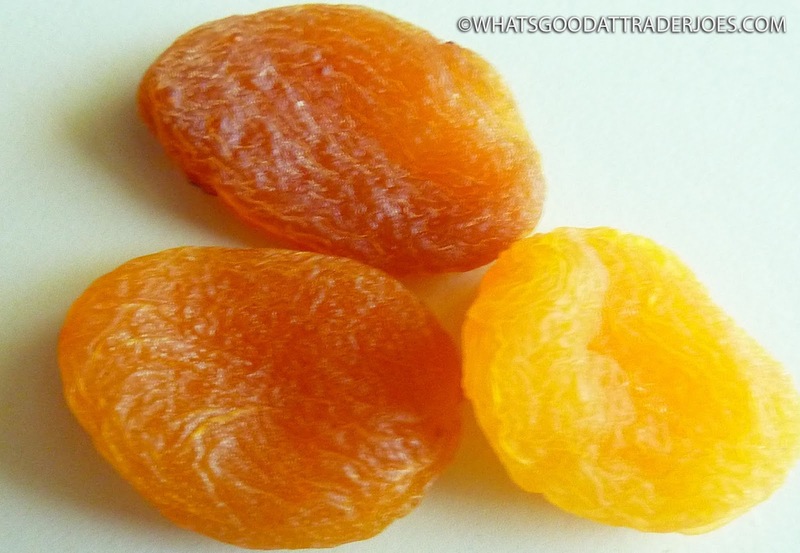 It's hard to eat something that doesn't taste good or have the right texture. All four of us at WG@TJ's are more than happy to take one for the team and try gluten free and vegan items not out of necessity, but for the sake of intrepid food blogging. We know many of you have more dietary restrictions than we do, and we respect that. 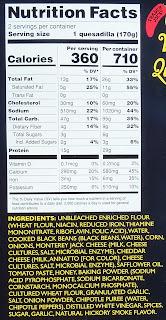 Plus, we can provide a comparison to the "normal" counterpart of any special diet items. How does this offering fare? Read on. I'll tell you right now Sonia is a huge fan of this product. I have mostly positive sentiments, but I do have my share of reservations. Let's start with the good stuff first. What they got right: the four cheese combo. The cheese here is delicious, and there's plenty of it. They didn't skimp. 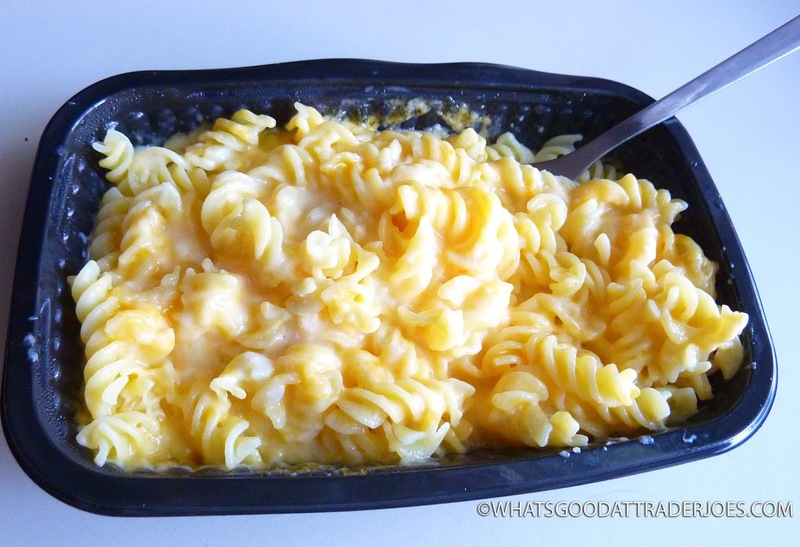 Every piece of pasta is slathered in that scrumptious blend of cheddar, swiss, havarti, and gouda. It's a good thing, too, because the pasta itself doesn't bring as much to the table in terms of flavor. It's pretty bland. 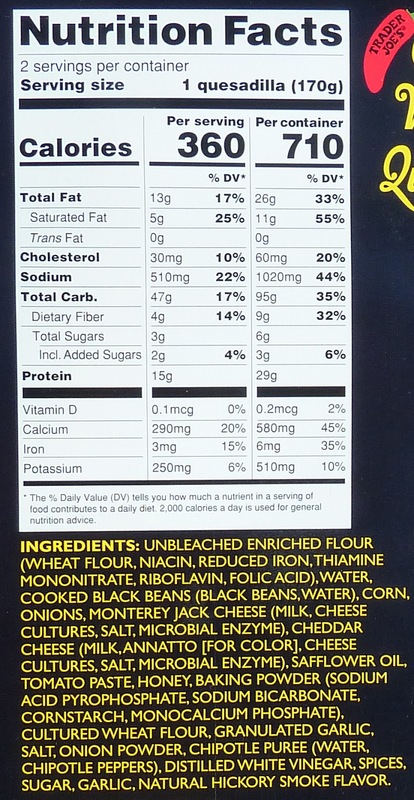 Not sure why wheat pasta tastes a little better than this corn and rice-based offering. Maybe we're just more used to wheat. 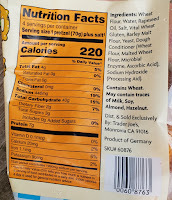 Or maybe it's all that yummy, schizophrenia-inducing gluten. Or maybe it's just the voices in my head telling me that wheat pasta tastes better. As far as texture is concerned, Sonia says this pasta is slightly more rigid than traditional pasta, and that regular wheat pasta is "more chewy than this." I felt the texture of this pasta was not unlike that of wet paper—thick wet paper, mind you, but wet paper-esque, nonetheless, however, not to the point where the dish became unpleasant or difficult to eat. It simply had a texture I'm not used to. 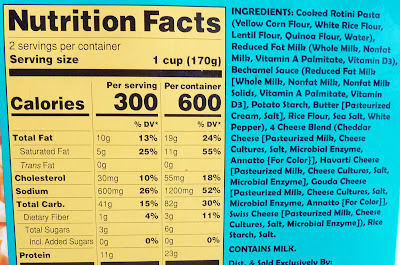 Finally, we noticed that, despite a generous amount of flavorful cheese, there was very little oil or grease in the product. I mean, there's plenty of fat in there. But I'm always turned off when it's the kind of fat I can actually see pooling up on the top of my food. All in all, we'll both recommend it, but Sonia will do so much more heartily than I will. We might purchase it regularly if it were just a bit cheaper, too. 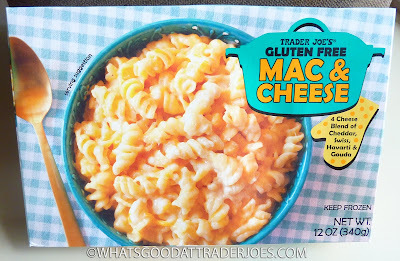 $3.49 for the frozen, microwaveable meal. Four and a half stars from Sonia. Three and a half from me. As I'm offically entering the later part of my thirties, I'm learning more and more that adulthood is a series of learning to embrace and enjoy different shades and forms of bitterness. It's not exactly a bad thing. Like coffee, for instance. Or alcohol. Or, even, disappointment. Those are all cups from which I drink often. 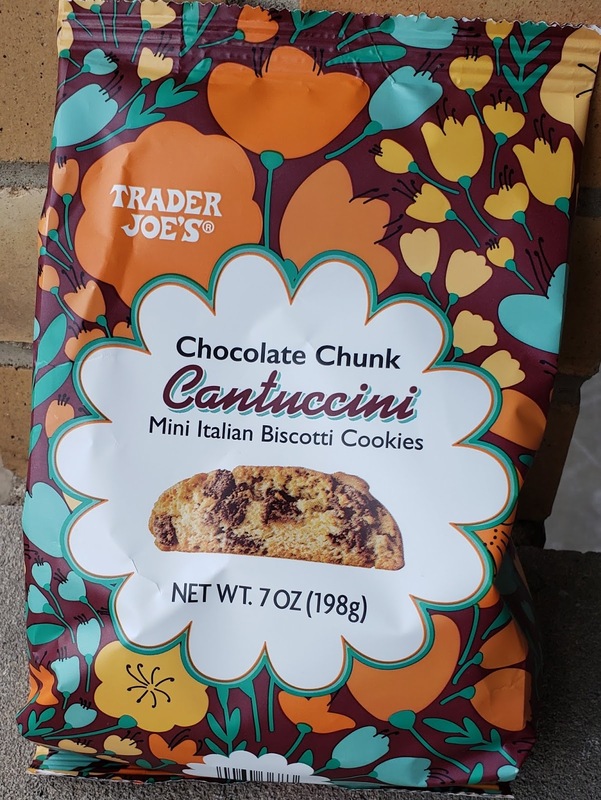 I'm on a small disappointment streak with TJ's products, and Trader Joe's Chocolate Chunk Cantuccini are just a continuation of that trend. I can partially pin all this on me. The other night, while semi-listening to my lovely bride prattle on about her most recent TJ's trip, I heard her say "blahblahblah chocolate something-chini biscotti blahlblahblah" which my mind instantly, without though, translated into chocolate zucchini bread-inspired biscotti. 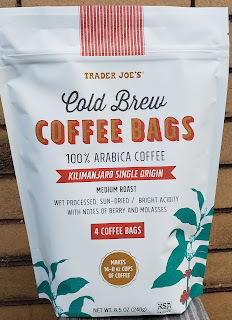 Now that sounds intriguing and seasonally appropriate, and maybe something zany that ol' Joe would whip up. If you haven't had good zucchini bread ever, I don't know what to tell you. 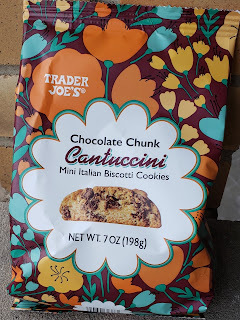 So, imagine my disappointment when I popped one of these kinda Italian mini biscuits in my mouth...and tasted just a regular old chocolate chip biscotti. Except smaller. Cantuccini is what I should have heard, not zucchini. Not familiar with the term? Me neither, but apparently it's an almost interchangable term with biscotti (i.e., biscuit), except cantucci are apparently more from Tuscany, and the -ini means they're smaller. Meh. It's small chocolate chip biscotti. Nothing more, nothing less. 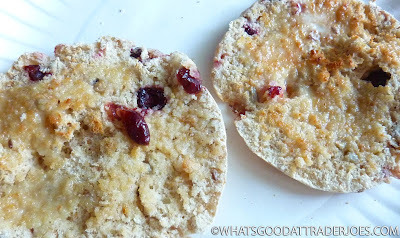 Kinda almondy and earthy, with a vague sweetness, without quite the flavor of a full blown chocolate chip cookie...yup. No icing or any extras, with only a few small chocolate bits to vainly try to break the monotony. And they're smaller, making them less handy to dunk into coffee or tea or milk or anything. 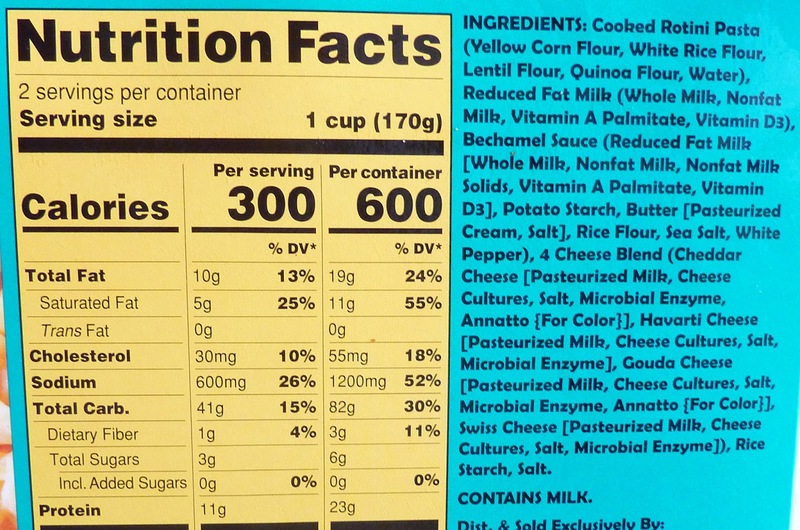 They also seem crunchier, maybe due to their condensed size. Sandy said they didn't seem to soften up when dunked either. Blah. Disappointment. 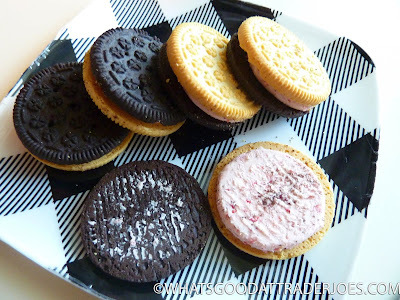 I really wanted to love these bitty biskies, but nope. There's nothing special about them, nothing to set them apart. In a word, they're boring. I'm disappointed. But I can embrace that, I guess, along with some coffee. Such is life. Matching twos from our house to yours.